Born on the first day of the year, this terribly talented actor has some totally different bracket of films to his credit. From his very first film, Nana Patekar believes in doing different roles and so far has come out with a wide variety of roles. None have been similar to the other. Nana Patekar's first film "Aaj Ki Awaz" could not do much for him. But N Chandra tapped this budding talent in "Ankush" which catapulted him to fame. There started a success formula which is still going strong. Some of Nana Patekar's other films are Amol Palekar's "Thoda Sa Romani Ho Jaaye", Vidhu Vinod Chopra's "Parinda", Mehul Kumar's "Krantiveer", Aziz Mirza's "Raju Ban Gaya Gentleman", Sanjay Bhansali's "Khamoshi", Partho Ghosh's "Agnisakhi" and N Chandra's "Wajood". 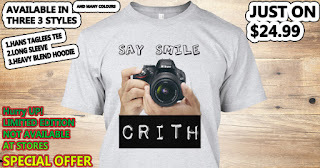 He has also attempted making a film "Prahaar" with Madhuri Dixit and Dimple Kapadia. 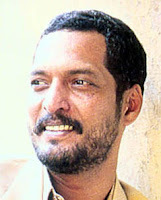 Nana Patekar won the Best Actor's award for his films like "Parinda" (1990) and "Krantiveer" (1995). 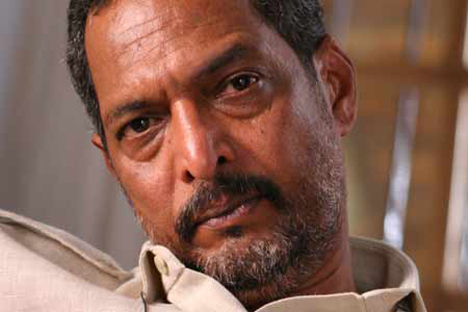 His swift style of dialogue delivery and undeniable range as an actor has endeared Nana Patekar to cinegoers. In 'Ab Tak Chhappan', though, the actor made a conscious shift and spoke his lines in a measured manner, a strategy which earned him several more scores of admirers. His performance in 'Tum Milo Toh Sahi', wherein he matches acting honours with Dimple Kapadia, expectedly, fetched him loads of acclaim. 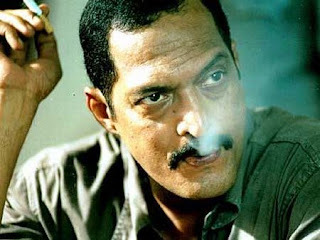 Enacting Subramanium, a South Indian retired gentleman who has a rather cynical take on life, Patekar fleshed out the character remarkably under the able direction of Kabir Sadanand. Incidentally, Patekar and Kapadia had teamed up after a hiatus of 16 years for 'Tum Milo Toh Sahi.' Their previous effort 'Krantiveer' had emerged a winner at the cine stakes, and audiences hailed their team, expressly Patekar who went on to turn mega star with the Mehul Kumar venture. 'Krantiveer 2' starring Patekar and helmed by Mehul Kumar, is centred around the 26/ 11 attack on Mumbai. Besides, the actor will showcase his histrionics to advantage in the school centric flick 'Paathshaala' and Prakash Jha's political opus 'Raajneeti'.